That little something extra for your firearm that you’ve been wanting. Frontier Tactical™ creates innovative solutions for your AR. The Triangle Handguard Adapter replaces the traditional handguard cap and enables you to bypass the gas block with two piece drop in rails or handguards. Run the handguard or rail length you desire. With the Triangle Handguard Adapter, your handguard or rail is no longer determined by the barrel shoulder. An ideal choice for those looking for a rugged, battle rifle with longer rail or handguard options. Confidently mount your backup sight to your rail for longer sight radius, without point of aim (POA) change that occurs with free float guards, rails and tubes. By using handguards instead of free floated rails, your hands are protected by heat shields; enabling combat firing of multiple magazines without wearing gloves or “calling a timeout”. The Triangle Handguard Adapter securely mounts your handguards and rails, eliminating flex or rattle created by traditional handguard caps and free float applications. The Triangle Handguard Adapter is available in .750″ or .875″ I.D. Made in the U.S.A.
Frontier Tactical™ creates innovative solutions for your AR. The Round Handguard Adapter replaces the traditional handguard cap and enables you to bypass the gas block with two piece drop in rails or handguards. Run the handguard or rail length you desire. With the Round Handguard Adapter, your handguard or rail is no longer determined by the barrel shoulder. An ideal choice for those looking for a rugged, battle rifle with longer rail or handguard options. Confidently mount your backup sight to your rail for longer sight radius, without point of aim (POA) change that occurs with free float guards, rails and tubes. By using handguards instead of free floated rails, your hands are protected by heat shields; enabling combat firing of multiple magazines without wearing gloves or “calling a timeout”. The Round Handguard Adapter securely mounts your handguards and rails, eliminating flex or rattle created by traditional handguard caps and free float applications. 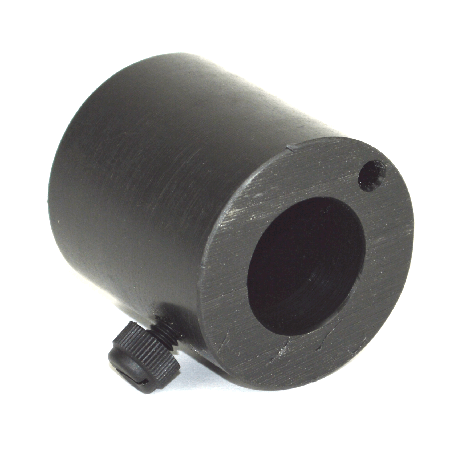 The Round Handguard Adapter is available in .750″ or .875″ I.D. Made in the U.S.A.
Get Complete Protection for Your Weapon with MagBlock RangeSafe! The MagBlock RangeSafe (RS) gives you visual indication from a distance that an AR-15/M16 firearm cannot be fired. The bright orange color is visible from all sides of the weapon with the bolt flag and the bottom floorplate. In addition to the visual safety, the MagBlock-RS provides training personnel as well as an average firearm user that the weapon is fully safe! With the RS securely inserted, the bolt flag keeps the bolt from engaging even if there is a round in the chamber. Designed to hold 3-4 CR123A 3V batteries or the BoreSnake Cleaning Kit, the MagBlock is a safety, protection and storage device all-in-one! Made in the USA with glass-filled nylon for durable safety. The Round Handguard Cap is available from Frontier Tactical with different internal diameters. They work with most two piece drop in rails or handguards. 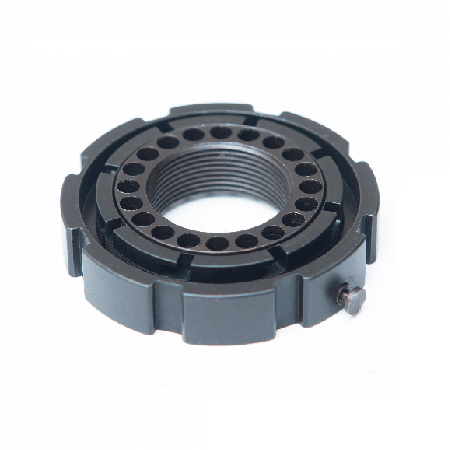 We know how difficult it can be to find parts that are outside the standard AR-15 parts offered in the market. Our goal is to stock parts that allow our customers to customize their own builds beyond what is basically offered on the market. The Round Handguard Cap is available in .625″, .750″, .875″ or .937″ (5/8″, 3/4″, 7/8″, or 15/16″) I.D. Made in the U.S.A. The Triangle Handguard Cap is available from Frontier Tactical with different internal diameters. They work with most two piece drop in rails or handguards. We know how difficult it can be to find parts that are outside the standard AR-15 parts offered in the market. Our goal is to stock parts that allow our customers to customize their own builds beyond what is basically offered on the market. The Triangle Handguard Cap is available in .625″, .750″, .875″ or .937″ (5/8″, 3/4″, 7/8″, or 15/16″) I.D. Made in the U.S.A.